Sam was the big fan of a social media app. It was a real-time app and showing different feed every time Sam opened it. After some days of usage, Sam got bored and uninstalled it from his phone. But before uninstalling Sam did a nice job, he wrote feedback! That feedback was eye-opening for all app owners. Sam mentioned that he liked the way the app looks, but he didn’t impress with the content app was showing him. Sam further wrote that it was non- personalized feed who forced him to uninstall the app. In a broader term, providing a personalized app is the key to success. Users want to see what they are interested in. Irrelevant content will result in the loss of the users. According to a report, 74% of users get stressed when the app or website is not personalized. Additionally, A Google report states that 89% of the U.S marketers agreed that personalized apps lead them towards more business. Thus, nowadays, all major app owners are bringing Artificial intelligence in the apps to provide state of the art user experience with the personalized content and news. By using some of the cutting -edge AI algorithms, App is able to determine the user’s behavior and mobile setting to deliver what user interested to see and read. Top apps like TikTok and Starbucks are working on few AI algorithms to make sure they target the right user with the right content to add more revenue in their business cycle. What can you achieve in the app through AI? The fundamental goal of AI in mobile apps is to provide improved user experiences. But there are other uses of the AI too which gives the ability to use the app in a more productive and personalized way to the users. Let’s understand this in brief. Image recognition lets machine or app to know the meaning of the image. People can use image recognition to search a similar looking object. Currently, Apple and Samsung phones come with the ability to search any details of a physical product by taking a simple photo of it. They are achieving it with Artificial intelligence. Not only these big brands, but it becomes so obvious today that medium level and even small level companies have started to introduce image recognition is their e-commerce and other types of apps. AI chatbot is the intelligent piece of the software which is useful for providing the extraordinary level of customer service. Basically, by using the AI algorithm, AI chatbots talk with the customers in auditory and textual methods. AI chatbots count as the best AI related invention of the decade as it is reducing the human resource of the company without affecting the user experience. This is how companies can save a huge amount of money by not hiring specific customer experience executives. 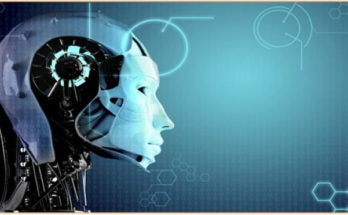 Predictive analysis is one of the most economical useful ability of the AI. Predictive analysis is nothing but an activity of AI which does prediction of the future event by studying the previous data and data pattern. This feature is very useful for the app admin. He can know the future usage pattern and performance of the app. The genetic algorithm is the most usable algorithm for doing prediction. We will learn about it later in this blog. After knowing some of the uses of AI, let’s know about the apps which are having AI compatibility and how it does help app owner to make more revenue. A Sweet Relation between AI and TikTok! TikTok is the social media video app which lets users to make 15 seconds long videos with lots of options to personalize it. 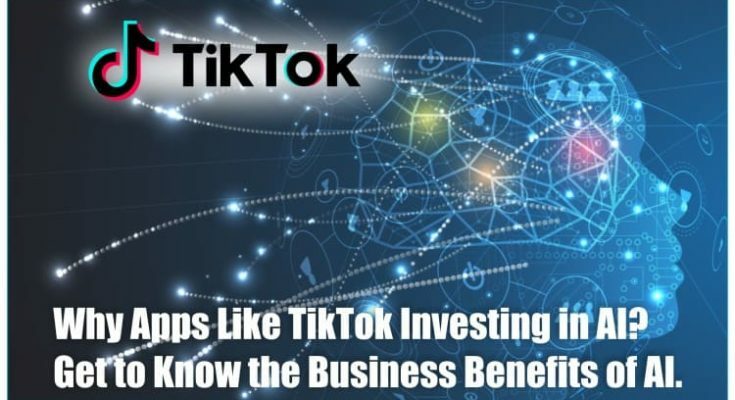 TikTok is owned by a chines company name Bytedance which have raised $1.45 billion for AI in December 2018. TikTok was launched in 2016 in China. But because of its personalized experience, people from all over the world embraced it. Currently, TikTok is available in 150 markets in 75 languages, and a total of 500 million users were using the app in June 2018. The company Bytedance, owner of the TikTok app has put the emphasis on the AI and machine learning technique from the first day. 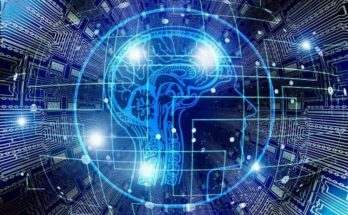 To satisfy their needs, they have even started a sub-company named AI lab, only for researching and experimenting with different AI techniques on the apps. The very famous product of the Bytedance which got AI integration is TikTok app. They have used AI in the TikTok for providing the personalized news feed to each of the users. Company’s AI algorithm works on the two sides. One which identifies each and every content of the app. And another which identify the user behavior and user taste. Now, according to user behaviors, it offers the only content to the user which he loves to see. Apart from this, the TikTok app has a facial recognition feature which is, of course, AI integrated. TikTok has so many filters related to faces of the users. In order to use that filter, the app has to detect the part of the face of the users. With the AI, apps get the ultimate ability to detect the faces in minimal time. The end result of the AI integrated TikTok app is so economical beneficial. Since the news feed is personalized, every time when a user opens the app, he not only gets the new content but the content which he is interested in. This thing keeps him engaged in the app and it will be very less chance that a user will feel bored and uninstall the app. Starbucks Coffee Stores and AI – A very unusual combination! Starbucks is the American coffee company, founded in 1971. Currently, Starbucks sells its different kind of coffee across 300000 worldwide location. Starbucks is not only run its business from brick and mortar stores, but it does offer an app too – a smart App! Starbucks app is AI integrated, monitoring daily drinking pattern of the users and analysis the previous order of the users. Based on these details, when a user visits the store, that store’s sell system knows the customer and his drinking pattern. With this knowledge of the customer’s taste, the customer gets the same coffee he used to drink. Also, through the previous data, apps suggest customers to try a particular coffee. Additionally, very smart use of AI is here! Starbucks teams decide to open a new store here by studying the data of the users. For that, they are using the data which app have gathered and different AI techniques. Few more feature of the AI enabled Starbucks app is, it lets customer to talk with the virtual barista through the phone to place the order. After knowing top apps running on the AI, let’s discuss on an AI algorithm which helps these companies to make such a personalized app. In the simple language, Genetic algorithm is being used in making future rules, based on the previous data. Let’s understand this with an Example of TikTok. 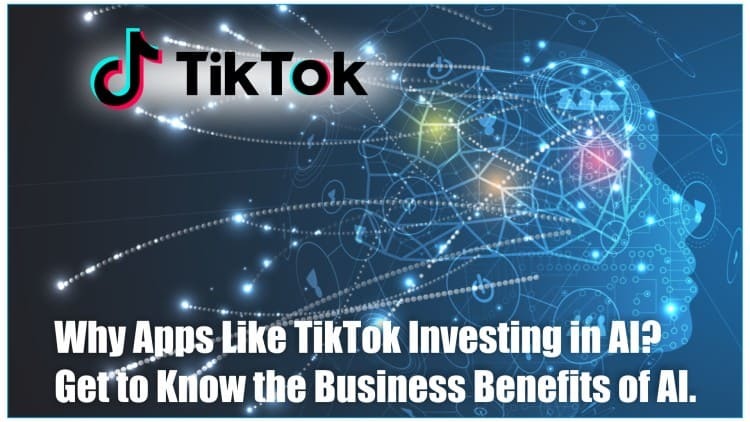 TikTok has the heap of the data related to the user’s activity and the end result. But this data is in the raw form, not offering a high degree of reliability. This raw data is now needed to be uploaded in the genetic algorithm which eliminates few non-reliable data and selects a few high reliable data at the end of every cycle (We call it generation). After thousands of generation, Genetic Algorithm has the data which is having 99.99% reliability. Now with this data, a software called rule engine creates rules. These rules are in the form, like, if user A (male, age) has performed X activity after Y activity, then his next activity would be Z, or, his interest in C thing. This is how the Genetic algorithm makes rules of user behavior. This rule is used to decide what is the interest of the user. After knowing possible reasons and ways to offer the personalized app to the users, it is now safe to say that your revenue model highly depends on whether you have selected the AI approach or not. By offering AI integrated app, you as an app owner can attract more and more users and can study the statistics of the app in the more genius way. So make sure, you use the AI as one of the features of your app! Vishal Virani is a Founder and CEO of Coruscate Solutions, a leading mobile app development company. He enjoys writing about the vital role of mobile apps for different industries, custom web development, and the latest technology trends.